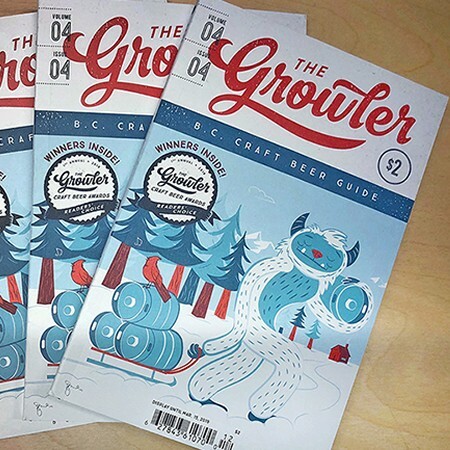 VANCOUVER, BC – The Winter 2018 issue of The Growler – a quarterly guide to British Columbia’s craft brewing scene – is now available, and comes with the announcement of the winners of the magazine’s new beer awards. ‘Tis the season for dark, malty beers, so Joe Wiebe looks at the history of porters and stouts, and what, if any, the difference is between the two. If you’re thinking about cellaring some of the boozy year-end releases that are out right now, we have a handy guide so you won’t get soaked by gushing bottles of poorly stored beer. And if you discover something’s not quite right with that dusty wax-dipped-barrel-aged-whatever, Kristina Mameli’s guide to beer off-flavours will help you diagnose the problem. We’ve also got lots of seasonally appropriate, non-denominational fun, from gift guides and winter reading lists, to a recipe for a yummy beer soup that will warm your soul, and your liver! B.C.’s 169 craft breweries produced an estimated 5,000+ different beers this year. 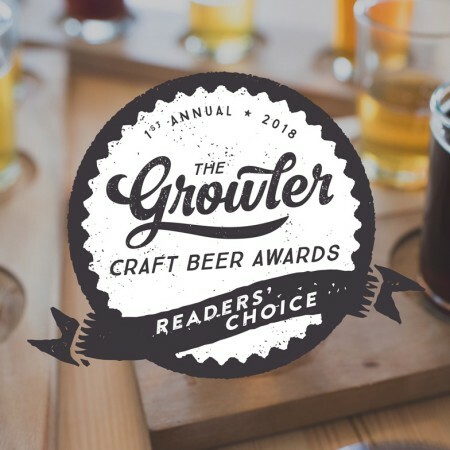 So with the help of a panel of craft beer experts, the field was narrowed to between five and 10 nominees in each category. Then the public had their say, with more than 40,000 votes being cast online during B.C. Craft Beer Month in October.